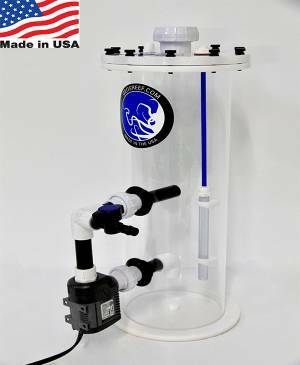 The CR510 calcium reactor will hold roughly 5 pounds of media and is well suited for reef aquariums up to 125 gallons. 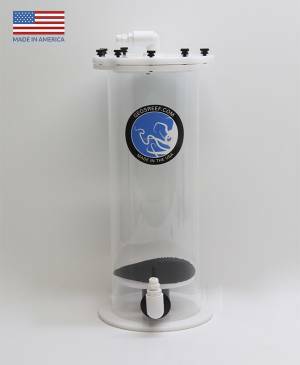 The diffuser replaces the standard media plate allowing the reactor to be filled from the very bottom maximizing the amount of media the chamber can hold and the high flow circulation pump permits faster effluent rates as needed for higher demand displays. 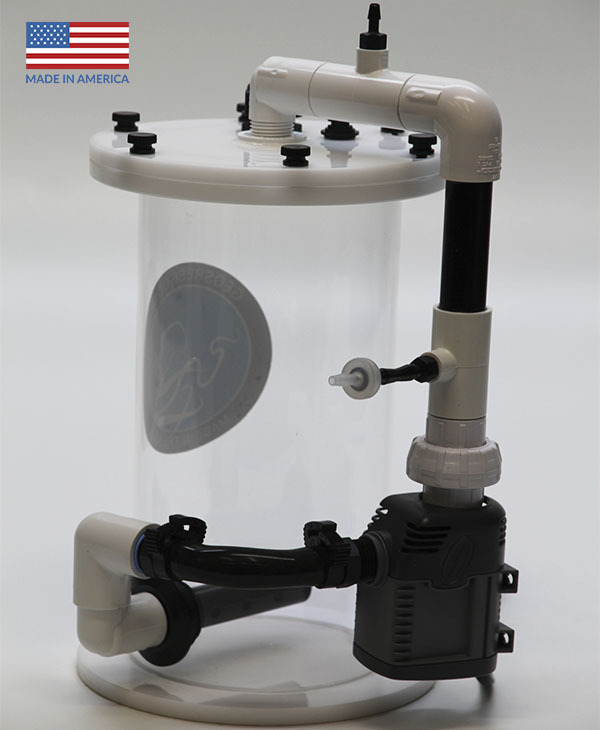 *These reactors are built to be used with the Aquarium Plants Carbon Doser electronic regulator and does not include a bubble counter. 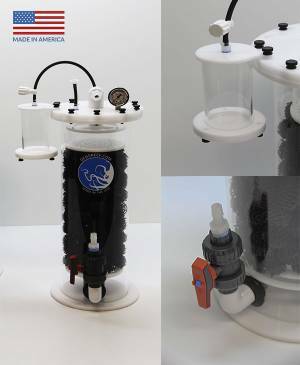 If the Carbon Doser regulator is not going to be used I recommend using the regulator without a built in bubble counter and add a separate bubble counter. I do not recommend using any regulator that has a built in bubble counter. 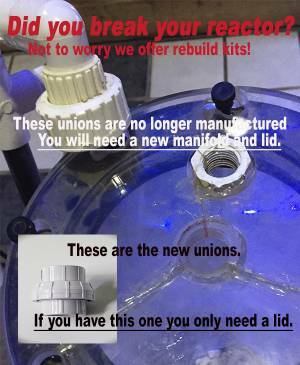 All cell cast acrylic construction, 5″ diameter chamber. I have this model CR510 Nano for my 90G plus 40G frag Tank and I couldn’t be happier with it. 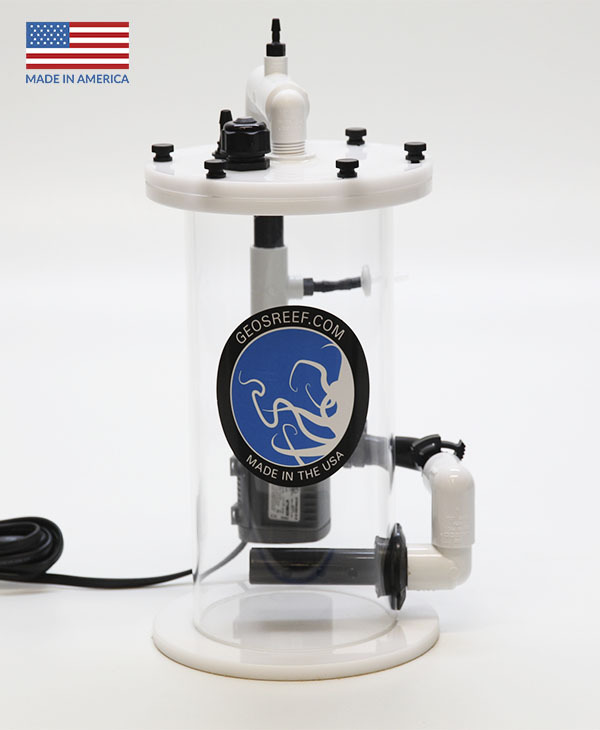 This is built Geo tough and does a get job at keeping my corals happy and growing. Works best with the Electronic Carbon Doser as recommended. No bubble Counter needed. Absolutely love this reactor. And no one beats Geo’s customer service!